Built January 16, 1958 in Osanbrueck, Germany.. 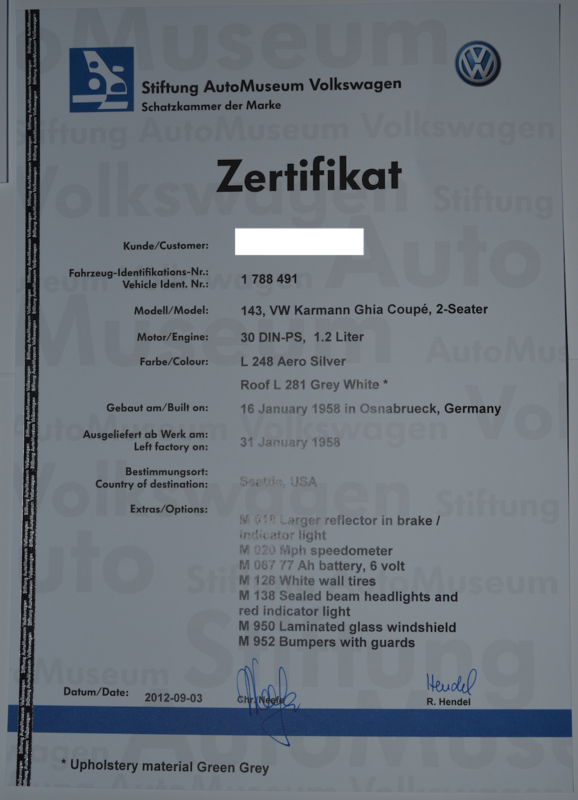 The “birth certificate” arrived from the Stiftung AutoMuseum Volkwagen! Original color was Aero Silver with Grey White roof. It’s cool to see this and know that the new color will be very similar, just a darker roof.